Like our other Yuma linen, our Sand Yuma features threads in subtly different shades to create a visible sense of pattern and texture, reminicent burlap textile. 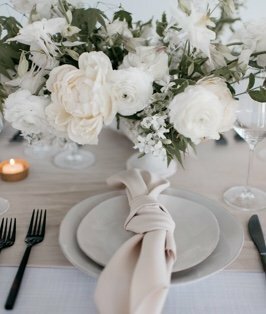 You’ll be blown away by its versatility and ability to create a subtly different look from our classic linens and other rentals. Since these linens are a neutral color, you’ll find you can rent other items in nearly any shade.